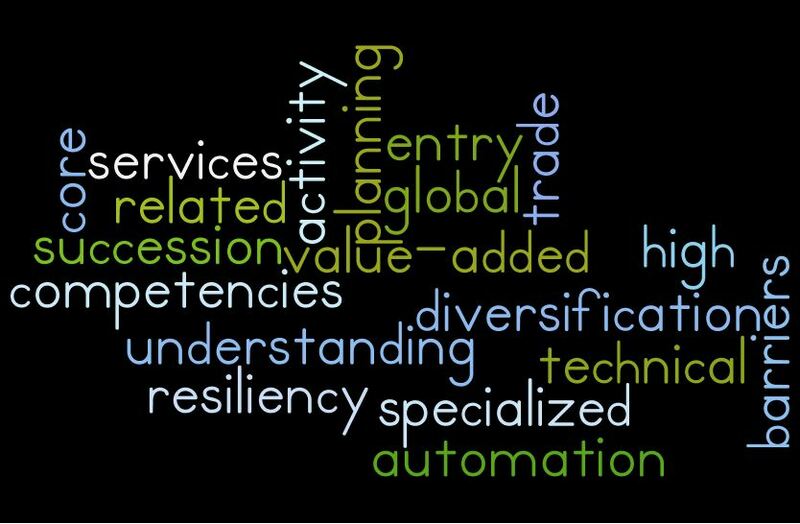 Consider the following: understanding core competencies; related diversification; specialized technical services; automation; succession planning; value-added activity; resiliency; global trade; high barriers to entry. What do these concepts have in common? All were impressed upon the VALOR fellows by the farms, agribusinesses and agencies we interacted with during Seminar III in the Shenandoah Valley January 3-6, 2013, as critical to success in today’s agricultural environment. The manner in which these ideas were evaluated ranged from creating opportunities to grow farm gate receipts by adding value to byproducts (bagging poultry litter) to utilizing automation to improve production efficiency (robotic milkers) to identifying ways to capitalize on unmet needs in the market (sourcing cattle for export markets). Successful agribusinesses – like any successful enterprise – recognize and capitalize on market opportunities to offer products or services to customers. Our sincere thanks are extended to the industry leaders who opened their doors and farms to share a bit of their extensive knowledge with the group.